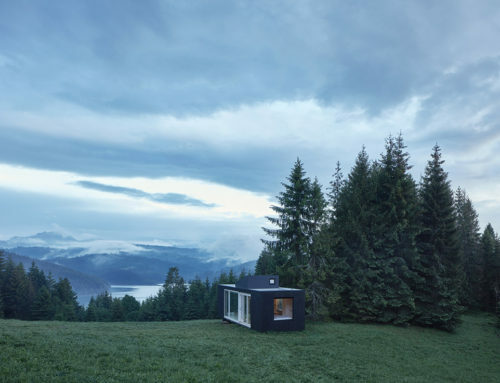 Although this project for group housing may be small in size, its objectives are generous and substantial. 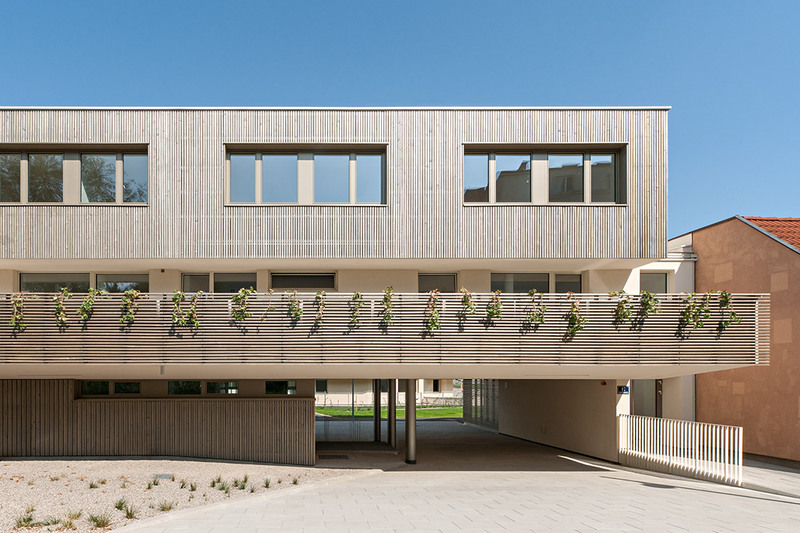 FUX provides young men and women who have recently arrived in Vienna with a place to call home, and helps these young people adapt to their new city in a supportive environment. 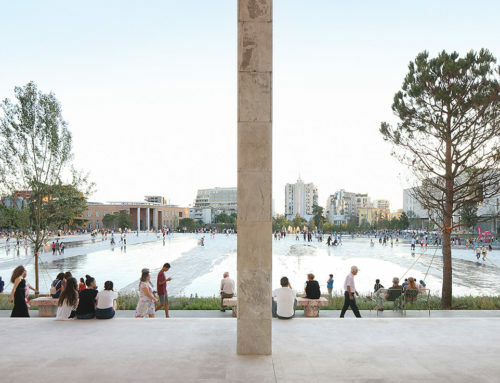 FUX’s layout supports its unusual program and connects it with its heterogeneous surroundings. 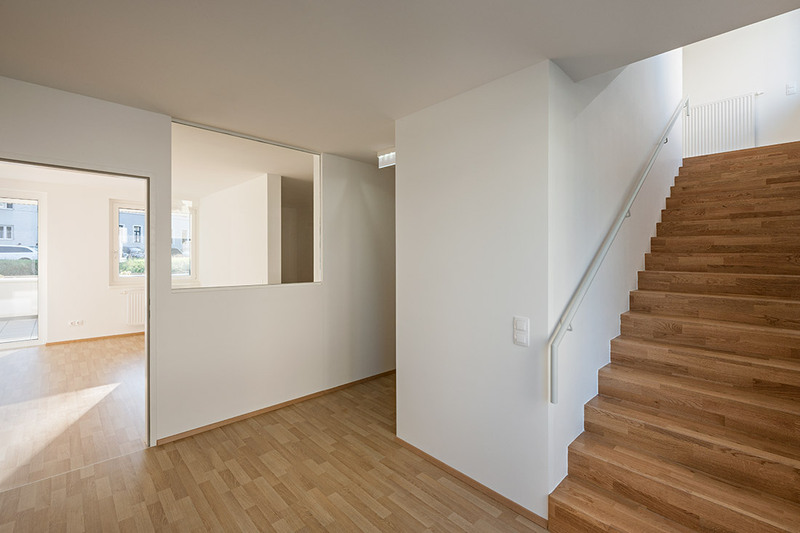 The house’s eight individual rooms are located on the uppermost floor. 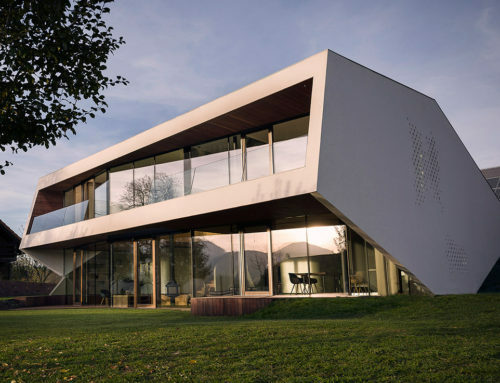 In the middle is the shared living room, the kitchen and a suite for the counselor; cantilevered in front of these rooms is a large, private terrace for the residents. 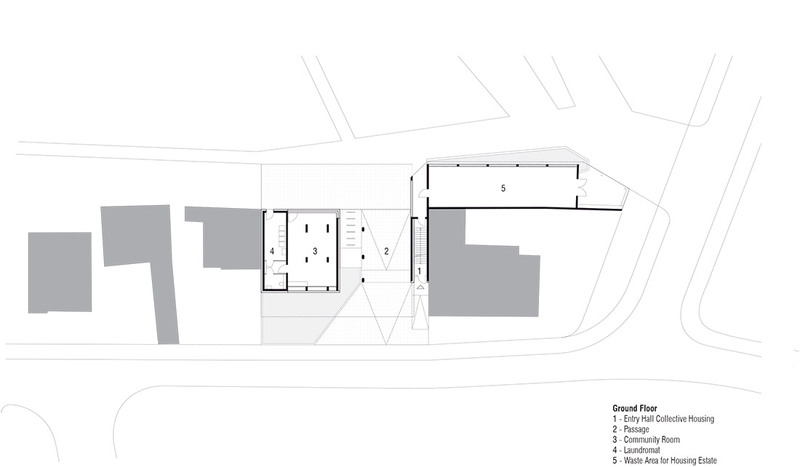 The ground floor is given over to a community room that is shared with the adjacent public housing estate, as well as a broad, open passage, which connects the courtyard of the estate to the public street. 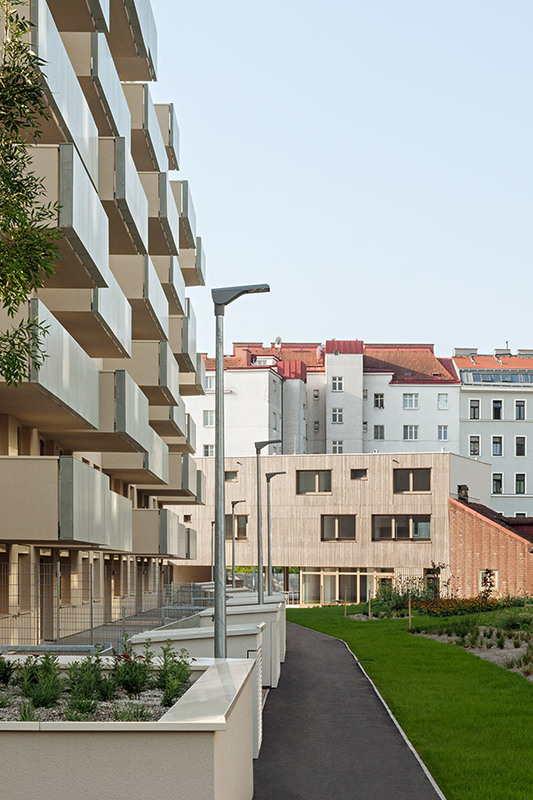 The FUX community housing building mediates between the differing scales and building styles of Vienna’s heteromorphic, rapidly developing XI District. 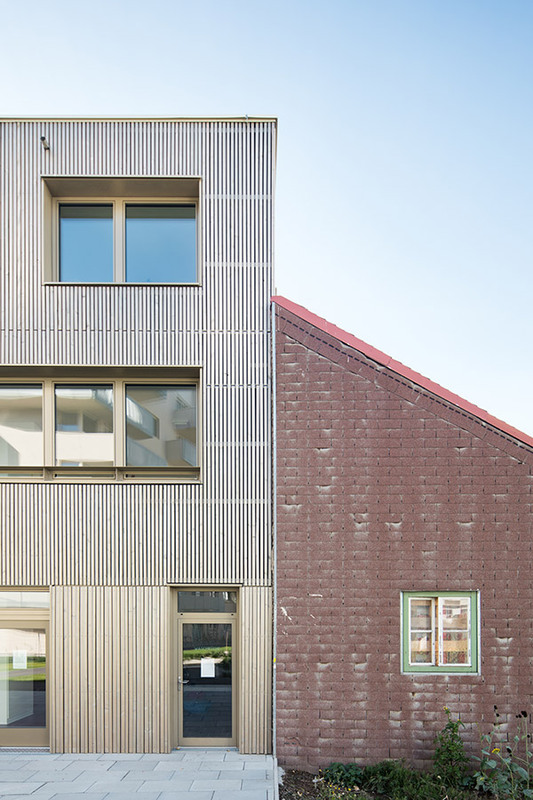 The house uses precise massing and haptic, inviting materials to integrate itself harmoniously into the existing, sympathetically ramshackle buildings of the Fuchsröhrenstraße. 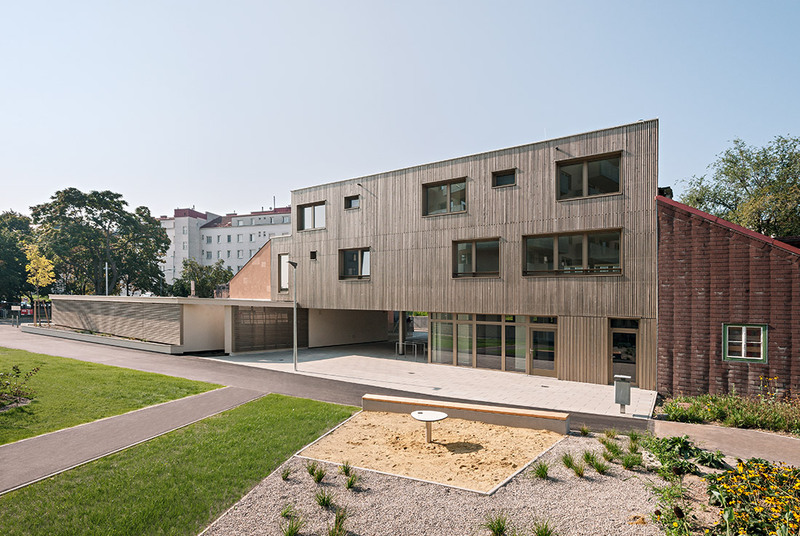 Much like the young people who live in this supervised housing collective themselves, the building inserts itself comfortably yet self-confidently into an existing situation, adding a lively new facet to an existing Viennese neighbourhood.